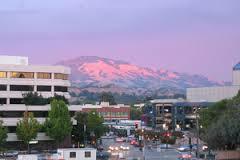 Walnut Creek is a very Metropolitan City. Have Breakfast , Lunch or Dinner at Over 100 Restaurants for your enjoyment. Enjoy High End Shopping, Highly Rated Award winning Schools and Beautiful Bedroom neighborhoods nestled at the base on Mt Diablo State Park that you can hike. Beautiful Cities like Alamo, Lafayette, Pleasant Hill and Concord Border around. You can't beat the Commuter friendly City. Take BART, Hwy 24 and 680 complete the circle for commuters. There is a free downtown shuttle to move things faster and Greener. Walnut Creek boast merchandisers like Apple, Tiffany's, Neiman Marcus, Cheesecake Factory, P.F.Chang's and more. For the Family the Schools are Award Winning and among the best in California. Play sports at one of the many parks that are woven in the communities. Join the Night life in a mature and Sophisticated Wine Bars, Tapas Restaurants or Live Music Venue. Join one of the many outdoor activities. Attend one of the outside Concerts or Movies in the Park. Years of Tradition holds Seasonal Art Walks. Join us at a Concert Festival or Family get togethers.